1829 – Rhys Bramblethorpe is born in Holyhead, Wales. Aloysius Thompson is born in New York, New York. Early 1850s – Bramblethorpe and Thompson meet while working at an ale house in Manhattan. 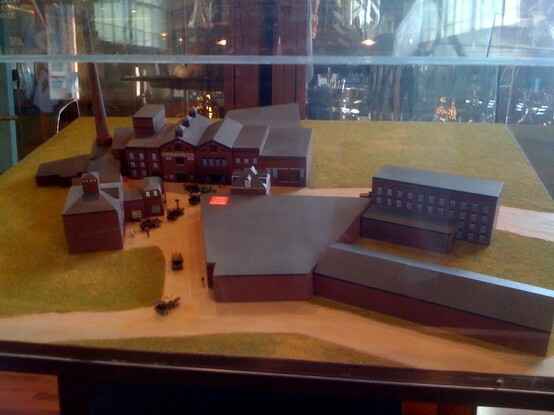 Model of B&T Brewery as it appeared in 1870. Courtesy, Bramblethorpe Memorial Library. 1858 – Bramblethorpe and Thompson select the land now known as Beertown as the spot for their new brewery. 1865 – The B&T Brewery sells its first batch. 1871 – Bronwyn Bramblethrope is born to Rhys and his wife, Ellen. The Bramblethropes builds a new home with modern conveniences (now the Bramblethorpe House Museum and Garden). 1896 – Bramblethorpe’s house is robbed, and a chambermaid accidentally killed. – The Beertown Time Capsule is first buried, with the intention of unearthing it in 100 years. Aloysius Thompson contributes the pistol he claimed was taken with him on his journey from New York to Beertown. 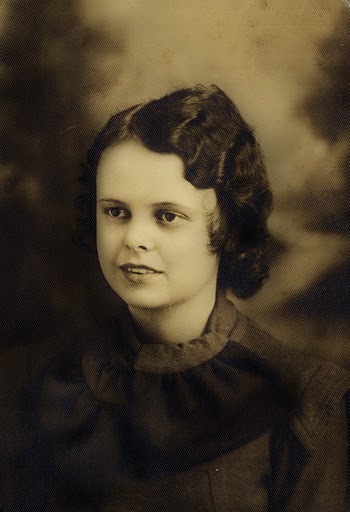 1897 – Suffragist and community leader Ada Dot (nee Fassbinder) Beckner is born. – Bronwyn Bramblethorpe dies of small pox, contracted during her frequent charity work with the Thakiwaki tribe. This major small pox outbreak in the tribe kills over 65% of the remaining Thakiwaki people. 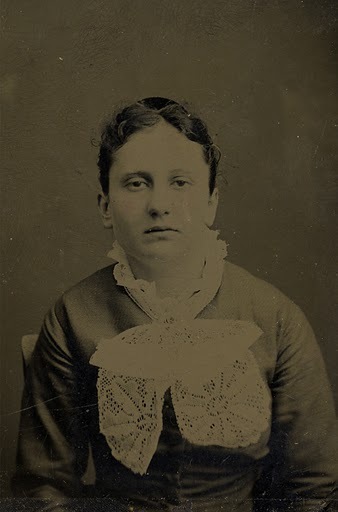 1899 – Rumors surface in Beertown about the involvement of Richard Thompson (son of Aloysius Thompson) in the murder of the Bramblethorpes’ chambermaid. 1900 – Believing that the gun in the time capsule is the one used in the chambermaid murder, Detective Joseph Ferrier becomes obsessed with new forensic science. He successfully petitions to have the time capsule unearthed and the gun fingerprinted. 1904 – The morning the time capsule is to be unearthed, Aloysius Thompson drowns himself. The gun is fingerprinted, confirming Richard Thompson’s involvement in the chambermaid murder. – Bottles of ingredients that have gone bad are also removed. Thompson’s suicide note is put inside the capsule to replace the gun, and the capsule is reinterred. 1908 – The Thakiwaki River floods, causing extensive damage in the town. The Time Capsule is disinterred for repair, and a commemorative bottle marking Teddy Roosevelt’s visit is added to the collection before it is reinterred. 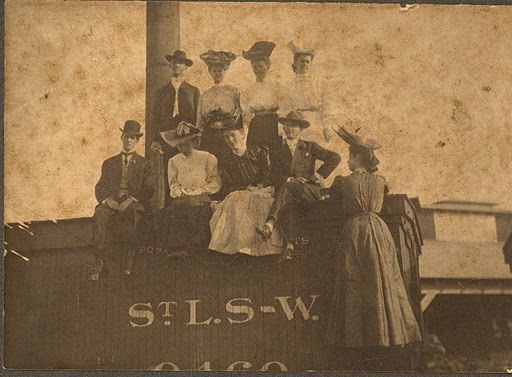 1909 – It is agreed that as the town grows and the past is illuminated, the time capsule should be reexamined every five years, in order to preserve the most accurate and complete spirit of Beertown possible. To keep the capsule from becoming overfull, a “one in, one out” policy is adopted. To celebrate, B&T rolls out a new beer called Quintus (with a gladiator on the label) which is brewed every five years. Hotels spring up to accommodate the Time Capsule Day visitors (and, of course, those coming to town just to taste a fresh pint of B&T beer). 1911 – The 1st Quinquennial Time Capsule Day Ceremony. 1916 – The 2nd Quinquennial Time Capsule Day Ceremony and the first planned disinterment of the Time Capsule. 1919 – 18th Amendment passes, making the distribution, manufacture, and sale of alcohol illegal (though possession and consumption of alcohol remained legal). 1925 – First editor of the Beertown Bugle, Leonard Fishman, is born in Beertown. 1932 – Future U.S. Congressman Fred Soch is born in Beertown. 1933 – April 7th, the day that the sale of beer once again becomes legal, is celebrated throughout America as “New Beer’s Day.” No city marked the occasion with greater cheer than Beertown. – December 5th, only hours after Prohibition is officially repealed as the 21st Amendment is ratified, Rhys Bramblethorpe dies at the age of 94. 1948 – Leonard Fishman incorporates the Brewery’s newsletter as The Bugle, and establishes it as the town newspaper. It is still referred to by many as The Beertown Bugle. 1963 – Thompson High graduates its first class. 1967 – Beertown Community Library opens. 1984 – B&T Brewery Declares Chapter 11. The next several years are marked with efforts by the brewery to regain the popularity of its past, such as the introduction of B&T Cool Frost (a malt beverage that was not well-received). 1991 – Brewery officially closes its doors in March.